The new Genie Nano GigE Vision industrial camera from Teledyne DALSA is packed with features that enhance performance while reducing complexity and cost. The impressive array of data acquisition modes combines unparalleled imaging possibilities with data transmission at rates exceeding the GigE limit. The acclaimed Sony Pregius IMX174 and IMX249 CMOS colour and monochrome sensors offer outstanding image quality that is supported by exceptional data acquisition and transmission capabilities. Using ‘burst’ and cycling modes and multiple regions of interest (ROI), image data can be acquired more quickly. With Teledyne DALSA´s TurboDrive technology, the image data can then be transferred for processing at rates greater than normally possible with GigE Vision. All the usual advantages of Gigabit Ethernet technology are retained, such as transmitting data over standard CAT-5e and CAT-6 cables to distances of up to 100 m. This powerful combination means that inspection applications can be run faster. 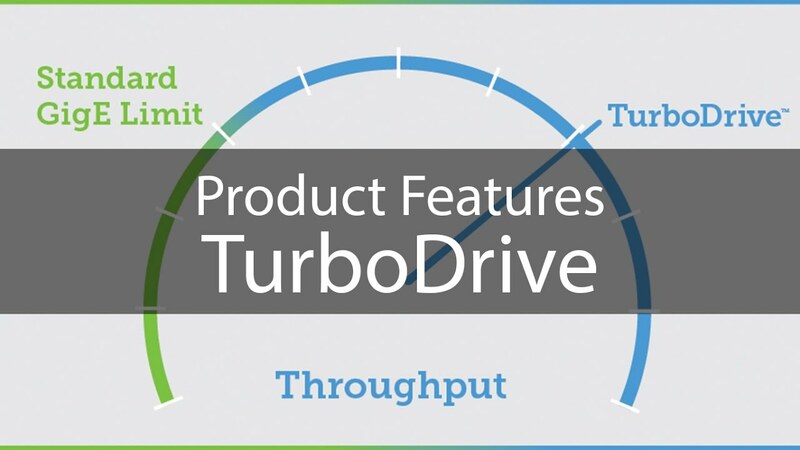 TurboDrive uses a sophisticated pixel analysis and processing method for image encoding that allows data transfer at rates up to double that of standard GigE Vision (dependent on the image itself). DALSA’s well-established ‘Trigger to Image Reliability’ methodology ensures highly reliable acquisition control throughout the image capture and processing sequence with no loss of image data. Up to 16 ROIs can be set up to limit the read-out of image data only to the important parts of the object. This reduces data acquisition time and the computing power needed for processing. The burst mode allows fast events to be captured by grabbing image data at the highest sensor rate and buffering them in the large onboard image memory, rather than being limited by GigE speeds. The buffered data is only transferred when the camera is idle, such as when a conveyor belt moves forward. Exceptional processing flexibility is offered by the cycling mode, which enables every image in a sequence to be set up for a different light source, lighting angle, exposure time, gain and more, allowing more information to be obtained from a single pass with a single camera. For example multiple illumination set-ups of the same object increase defect detection and production security without complex external electronics. The cycling mode allows a single Genie Nano camera to deliver a large amount of information in a single pass. This is equivalent to that obtained from multiple cameras, or camera and frame grabber combinations, reducing overall system cost and complexity. 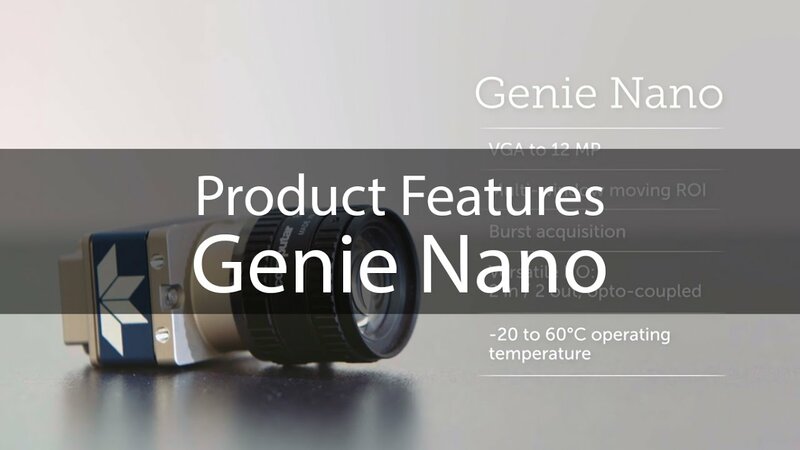 The Genie Nano is built for action. Designed to operate over a temperature range of -20 ˚C to +60 ˚C the camera can operate in extremely harsh environments with extended camera life and increased long term reliability. An extensive MTBF analysis has been carried out showing exceptional MTBF at temperatures up to 80 ˚C.